Automatic Data Processing, Inc. (NYSE: ADP), with nearly $9 billion in revenues and over 600,000 clients, is one of the world's largest providers of business outsourcing solutions. Leveraging nearly 60 years of experience, ADP offers the widest range of HR, payroll, tax and benefits administration solutions from a single source. ADP's easy-to-use solutions for employers provide superior value to organizations of all types and sizes. ADP is also a leading provider of integrated computing solutions to auto, truck, motorcycle, marine and recreational vehicle dealers throughout the world. For every service-oriented architecture (SOA) success story, there lays an abandoned SOA project stuck in one of the various stages of deployment. Underscoring the successes and challenges of an SOA project is the popularized theory that 50 percent of IT projects are deemed unsuccessful. This, of course, can make embarking on an SOA strategy rather intimidating. Tools for Quickly Regaining Your Perspective When You Are About to "Lose It"
We all need something to restore our perspective when it gets out of whack - when we find ourselves in difficult situations - when the tension, anger or anxiety are growing and our self control and logical thinking are going out the window. Keeping disruptive emotions and impulses in check is vital both at work and in your personal life. Nov 6, 2008 • Durham, NC • Register Now! WITI is pleased to announce the promotion of Lisa Curran to the position of Director, Change & Release Management Software - Rational Software at IBM. In her new role, Lisa will focus on solutions for Geographically Distributed Development and lead the worldwide Change and Release Management development organization. Do you have an announcement or promotion you'd like to share? WITI is looking to highlight women on the move. Use the form in the Member's Area to send us your news to appear in the Strategist and also on our website. If you prefer, you can also email the editor. WITI is now on Facebook! Click here for details and select the "Request to Join Group" link to show your support, get updates, special offers and more. WITI Has an Exclusive Linkedin Networking Community for Paid WITI Members! Linkedin is an online network of more than 16 million experienced professionals from around the world, representing 150 industries. WITI Members: Click Here for Details! "Success Strategies for Life & Career"
This series of two one-hour teleclasses is for those who already have a specific goal and want to learn the strategies and tools that successful achievers use to achieve their goals. "Have More Impact in Less Time"
Join Christine Duvivier as she shares wisdom from her own-- and other leaders' -- experiences to address the concerns of women executives. This class is FREE for WITI members... Click here for details! Visit the award winning GEICO.com for your free, easy, no-obligation rate quote. Your subscription to WITI's newsletter could save you even more money. 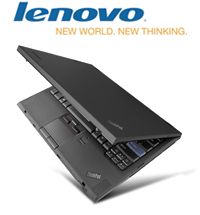 WITI Members Can Save up to 29% With Lenovo! WITI Members: Click Here for Special Offers and Discounts! 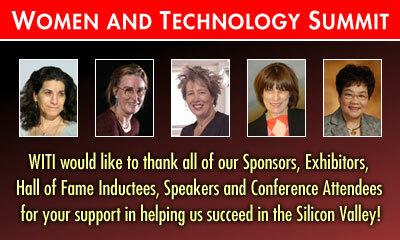 Join WITI @ Silicon Valley Rocks! Silicon Valley Rocks! is the first music showcase featuring performances from Silicon Valley's tech community - from VCs and entrepreneurs to bloggers and software developers - to raise money for Music in Schools Today (MuST), a Bay Area non-profit that seeks to rescue school music programs from budget cuts. Silicon Valley Rocks! will take place on Wednesday, December 3 at the Great American Music Hall in San Francisco. Event tickets include entry to the showcase and the after-party featuring the best networking, drinks, and dancing north of San Jose. Ticket purchases are tax deductible. PMI and WITI Co-host Special Event: "Communication & Leadership - Are You Being Heard?"